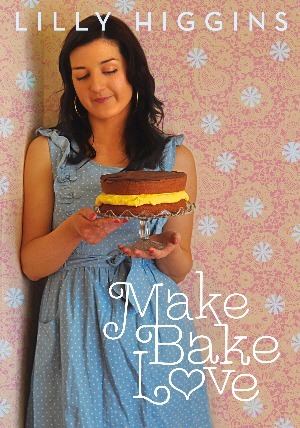 Twenty years ago Nigella Lawson‘s How to Eat was published. A year later, myself and both my housemates bought copies. All three of us were in our early twenties, just finished/finishing college, not long arrived in Dublin. We lived in a basement flat in Rathmines – number 13, situated right between the half-way house and the prostitute – and we were hungry for the world. We devoured Nigella’s prose, dog-eared and splattered the pages with food, cooked her recipes and figured out our way, one bite at a time, into life. Nigella, with her straightforward menus and simple recipes and absence of perfect pictures, gave us the confidence to feed people. That, and the knowledge that there was a pizza delivery outlet around the corner. If everything went to hell in a hand basket, we had an alternative dinner on speed dial. Suddenly there were lots of excuses to have people around for dinner. We threw pancake parties for Shrove Tuesday, where we crammed people into that hobbit hole of a flat, to feed them stacks of savoury and sweet thin, Irish-style crepes (it was a while until fluffy American buttermilk pancakes hit these shores) while they perched precariously, two or three to an armchair. When friends came to Dublin for job interviews, we invited everyone around for dinner, wine and the opportunity to brainstorm on potential interview questions. I’m still not sure how anyone was hired, but we were a notable good luck charm. Boyfriends were acquired and entertained at these meals (although I don’t know how I ended up with the lad who had tried to chew his way through an undercooked, tough lamb tagine) and friendships cemented. We had impromptu “we have a happy house” dinners, where we’d get so caught up planning the menu that we almost forgot to invite guests and had to eat big trays of chicken drumsticks and sausages for days afterwards. I made chocolate pots and lemon chicken, petit pois à francaise, pea soup, beef stroganoff (the most food-splattered page) and sticky chocolate pudding. I learned what vermouth was, what to do with parmesan rinds (although it would be years before I could afford parmesan) and went hunting for Marigold stock powder in the Hopsack down in the Swan Centre. 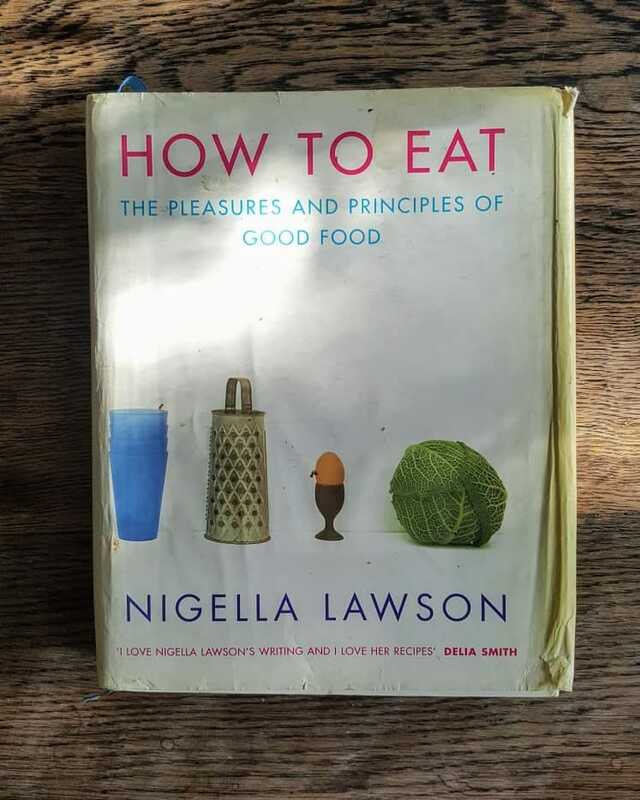 It wasn’t all Nigella, of course: we were also Nigel devotees, but How to Eat felt like my nerdy little secret, the book that taught me about feeding others. I studied it to learn the technicalities of how and why to put a menu together but, more importantly for my own future, I studied her writing and stories and sense of connection. I’m still a Nigella fan. Amidst the hundreds of cookbooks that I own, her tomes are amongst the most used and read and referred to. But it was How to Eat that started it all, introducing me to a world of food and memory and pleasure and care – both of the self, and of others. It’s years since I lived with those girls, but we’re still good friends. We’re there – with food – when things fall apart, trying to stitch things back together, one bite at a time. I took one of the Rathmines housemates to Dublin’s National Concert Hall last night. 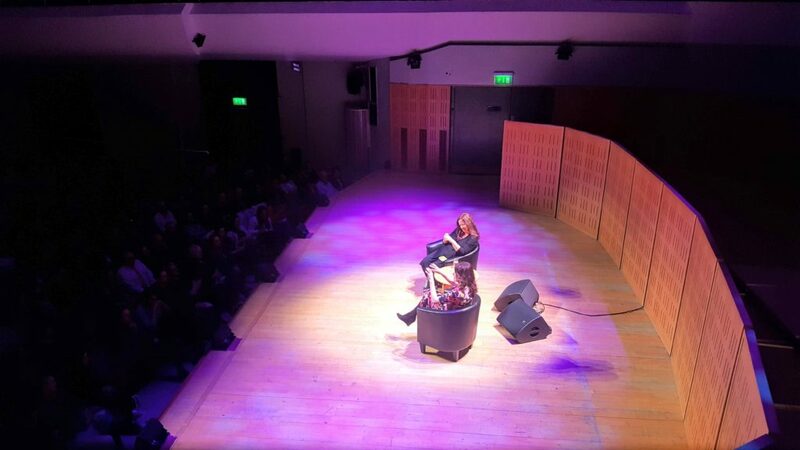 Nigella was being interviewed by Niamh Shields, aka fellow Irish food blogger Eat Like a Girl. It was a conversation about inspiration and greed and loss and the power of food to bring the past into the present. During the Q&A at the end, I had to ask a question: with so much talk about the past and memory and history, what are the future Nigella-style flavours? Her answer: more preserved lemons. And, after a little thought, ghee – that one brought the house down. Also, I’d say, lots and lots more food stories with friends and family. Thanks for the memories Nigella.